It may be no surprise to you that more and more Employers are using social media websites to recruit new workers to their businesses. A recent survey demonstrated that 94% of recruiters use social media professional websites such as Linkedin. 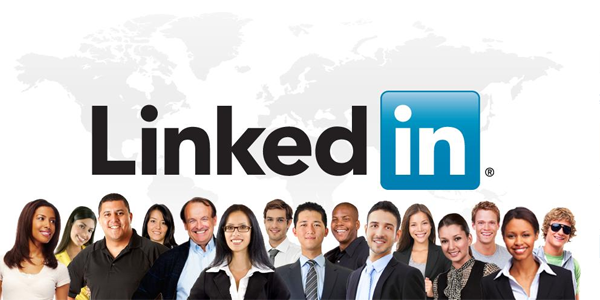 Linkedin is a business-oriented social network service launched in May 2003, predominantly used for social networking. In October 2015, it had been reported that there were over 400 million users. It is a great tool for people looking for work and also Employers looking for staff and is used as a great Head Hunting tool. It is the go –to talent pool for a number of people and the better you can present yourself as an individual, the better and more appealing your profile will present itself to employers. Some People may have a maiden name or even a nickname or shortened name that is more commonly used. To ensure people know who you are, you should use this next to your professional name to ensure potential recruiters do find you. One thing to be aware of is that this actual headline actually auto fills, but if you are looking for work, it is work changing this to a headline related to the type of work you are looking for. This is one of the few things people will see first so it is important to make this really catchy and appealing to your intentions. If you write a small suburban town as your location, recruiters will tend to assume ( although this may not actually be the case) that you are not willing to travel outside of the suburban town that you live in. It may even be worth stating the city as the largest city you are willing to commute to, keeping your options open. Compare yourself to another worker from your place of work, but without actually including their name or responsibilities. You can simply list your achievements and roles and responsibilities, which stand out and also quantify your successes that makes them stand apart from the basics of their job description using numbers and percentages. To be original, it is critical in this section, this is your time and opportunity to shine! Always try to relate the words you use to ‘real’ results, using active language to stipulate your competence. What do you want to be best known for? List the skill in the order that you want to find most appealing. 6. Ask others for recommendations. To help you stand out from the rest, it is most definitely valuable to contact past and present managers and colleagues to endorse your skills as well as writing a recommendation to verify your high quality skill set and ability. These presented on your Linkedin page will set you apart from the rest of your competitor’s and you will be in more demand than ever! Linkedin is a superb tool for those looking for work, but only when the content is of a high quality and used effectively. The above tips should leave you on to your dream job!